Earn $4.32 in VIP credit (432 points)What's This? 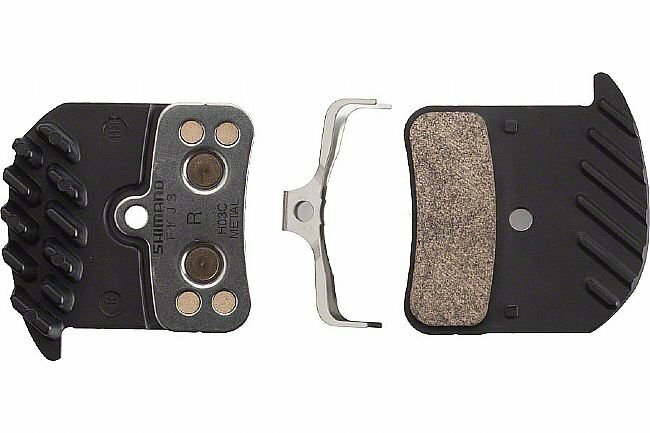 The Shimano H03C Metal Disc Brake Pads with Fins are replacement pads for Saint or Zee disc brake systems. With its metallic pad compound, the H03C digs in in the dry or wet, and lasts longer and wears more evenly than their organic counterparts. Additionally, with Shimano's ICE Technology at work, the aluminum radiator cooling fins futher increase the life of the pad, while reducing brake fade by rapid cooling. Each set of H03C brake pads includes two pads, enough for one wheel.